The final part of this mini-dengue series examines how Singapore fights dengue here on the island. Located directly in the heart of the dengue epidemic, the country has an impressive record of combating the illness. Central to these efforts are sustained publicity campaigns, explicit statistical reporting, and aggressive mosquito control policies to keep the spread of the disease in check. The Aedes mosquito, which is responsible for dengue transmission, is not very popular here. Notices are posted in highly visible places when multiple cases are recorded in a particular neighborhood. Not shying away from the facts of the disease enable health workers and citizens to work together to combat dengue outbreaks. A simple color-coded system (green-yellow-blue) indicates the extent of dengue penetration in a particular block or neighborhood. 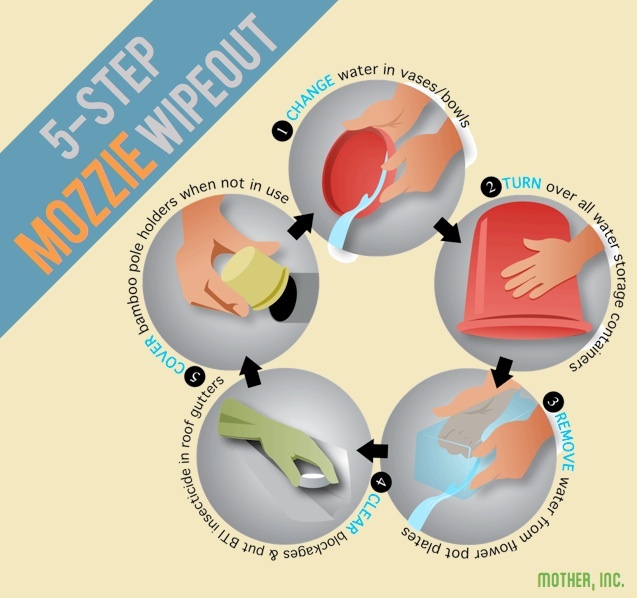 Here is another depiction of the five-step mozzie wipeout technique. Pictures like this make regular appearances in the newspaper, the nightly news, community bulletin boards, and many more. These techniques emphasize the need to remove breeding sites for mosquitoes, which tend to be pools of sitting water. Construction sites throughout Singapore are prime areas for mosquito breeding and dengue transmission. The clear reporting of health statistics and responsive action to outbreaks is quite impressive. Such transparency and advocacy made a strong impression on me, as I presumed that they might shy away from broadcasting the prevalence of dengue fever. As stated above, Singapore provide a bevy of handy information on official government websites. From explanations of sanitary techniques to in-depth statistics regarding dengue cases, they do a remarkable job of giving the average citizen sufficient information to stay informed about the latest dengue developments. The website www.dengue.gov.sg is worth certainly worth a look, with constant updates and live tracking of new cases. Besides all of this information gathering and distribution, the health department also conducts frequent sweeps of neighborhoods and HDBs to . 850 officers in the department work full-time on dengue inspection. Pre-emptive Intensive Source Reduction Exercises (ISREs) are carried out during the summer months to wipe out mosquito breeding habitats. 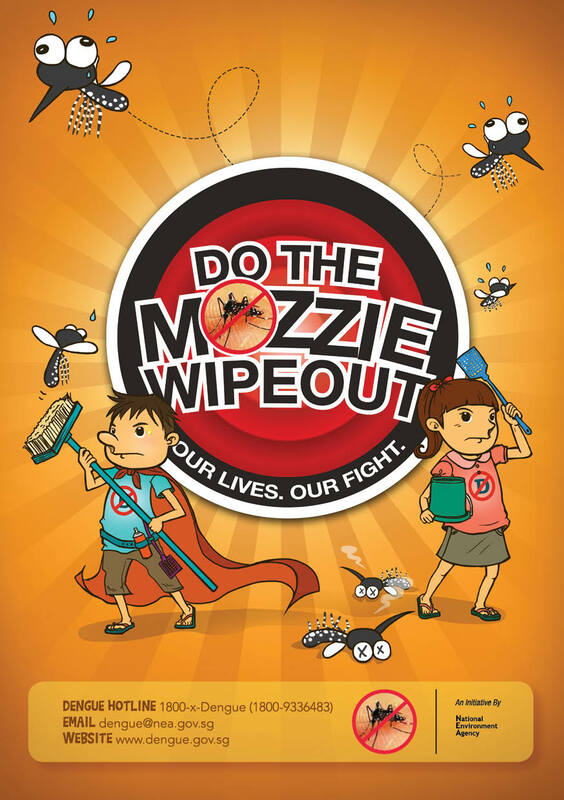 Normally, one might smirk at the use of terminology such as "search-and-destroy operations" when referring to mosquitoes, but the NEA takes dengue quite seriously (as they should). 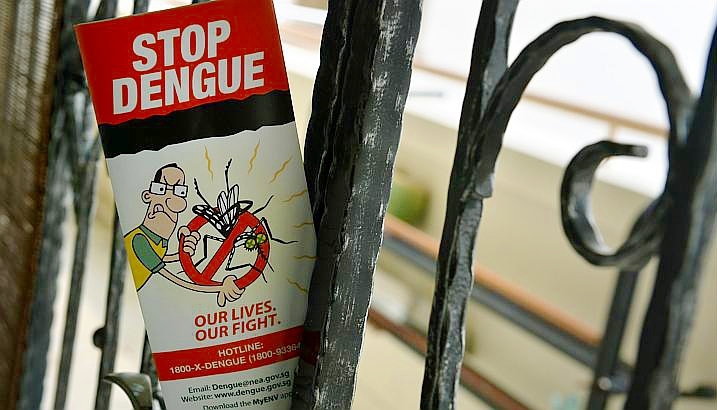 Singapore's dengue campaign is impressive on a number of levels. Other countries would do well to implement many of the measures that Singapore currently employs. The combine community outreach, transparent reporting, and decisive action achieve the best results. As both a scientist involved in dengue, and an individual living in a region that has historically had high dengue incidence, I am thoroughly impressed with Singapore's efforts to find a solution to the disease.